You'd ideally love to buy a bleeding-edge smartphone, but don't love the idea of spending a great deal of money on one. Motorola's three new Moto g7 series smartphones – the Moto g7 Play, the Moto g7 Power and the plain Moto g7, due to go on sale this spring, may offer the perfect balance between features and cost with three modern models priced at just $199, $249 and $299, respectively. All three phones are powered by Qualcomm's powerful eight-core Snapdragon 632 processor, all three feature screens with a wider and taller 19:9 aspect ratio (by comparison, your TV has a 16:9 aspect ratio), each runs the latest Android 9.0 Pie operating system, all three are waterproofed with P2i nano coating, all three can add nine hours of operation with just 15 minutes of charging thanks to Motorola's turbopower technology and faster USB-C charging, all have an FM radio, and each includes a variety of higher-end bells & whistles. 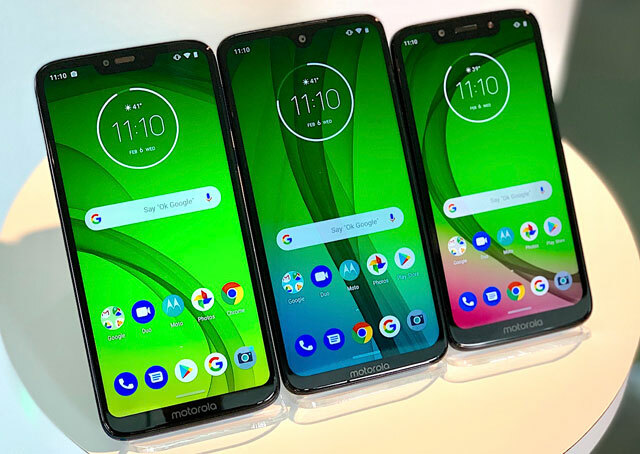 The best buy of the Moto g7 series may be the middle model, the Marine Blue Moto g7 Power, which offers three days of power (or so Motorola claims) thanks to a massive 5000mAh battery, yet weighs just about the same 7 ounces as the Apple iPhone XR. You also get a large high-definition 1520 x 720 6.2-inch display, a hair larger than the screen on the iPhone XR which costs nearly twice as much. The G7 Power also has 12MP/8MP rear and selfie cameras that record in 1080p high definition and includes 32GB of onboard memory plus a microSD card slot to add up to another 512GB of storage. 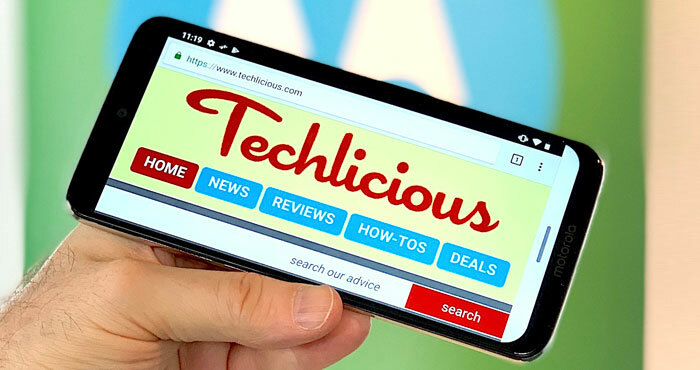 For an extra $50, the top-of-the-line Moto g7 offers the largest, high-resolution and toughest screen of the trio, a full HD 6.24-inch display (2270 x 1080) is protected by Corning's Gorilla Glass. The G7 also sports the fanciest cameras of the series, an 8MP selfie camera and a dual-lens 12MP rear snapper, which include adjustable intentional blur (aka bokeh effect), auto smile capture (the shutter automatically snaps when the phone detects everyone is smiling), a "hyper" time-lapse mode that works even when you pan, scan and otherwise move the camera around, plus 4K video recording. You also get an "all-day" 3,000mAh battery, 64GB of onboard memory, a separate headphone jack (which the Power and Play lack), and it comes in Ceramic Black and Clear White. Motorola claims its entry-level g7 play is 110 percent faster than its previous comparable model. It also a smaller 5.7-inch (1512x720) screen, which means its 3,000mAh battery supplies up to 40 hours of power, 13MP rear and 8MP selfie cameras, and is available in Starry Black and Deep Indigo.